Do you ever feel like your mind is running a mile a minute? Between your career, love life, friends, household chores, and more, it can be hard to feel like you’re living a balanced life. Take a moment to slow down and enjoy. 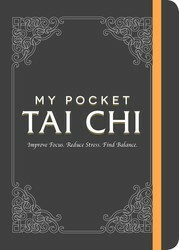 MY POCKET TAI CHI is an essential guide that explains how the practice can help you feel a level of contentment that you need and deserve. Find the true meaning of your life and enjoy the little things by practicing tai chi. In order to achieve the level of contentment you want, you need effective tools for becoming truly resilient. Tai chi assists in this effort in the most helpful of ways. The lightness of the moves restores resiliency to joints and muscles, the deep breathing cultivates and nourishes the chi, and the disciplined style of motion balances the yin and yang within. Sleep becomes enough. Your sense of well-being strengthens. Your feeling of harmony and balance in the world is more apparent. Your patience with others is easy. No one is in your way. Your life is not unmanageable. Your stress melts into rest. The life fountain of pleasure, joyful simplicity, and rich meaning is yours to draw from because you’re refilling it each day. Only an ancient form of movement could give so much. The goal of a rewarding life is the same for everyone, even if the details differ. The reason these exercises have endured for thousands of years is because they deliver. They delivered then, and they deliver now. If anything, after having been honed by time, they deliver better now than ever before. 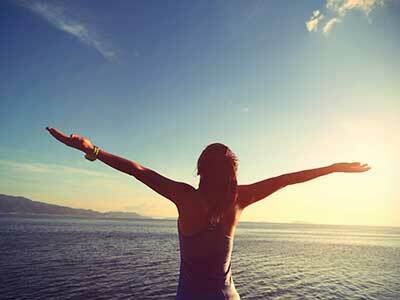 Have you heard of transcendental meditation? Learn more here! Excerpted from My Pocket Tai Chi by Adams Media. Copyright © 2018 Adams Media, a division of Simon and Schuster. Used by permission of the publisher. All rights reserved.